One of my favorite times of year is Fall. Fall leaves, leather boots, sweaters, hot chocolate, pumpkin desserts, the color orange, cool air, you name it, I love it. BUT one of the things that I ALSO love about fall isss… that it’s time for the Genius Blogger’s Toolkit 2018! I highly recommend that you take a look at the Genius Blogger’s Toolkit (GBT) (or share this post with them). 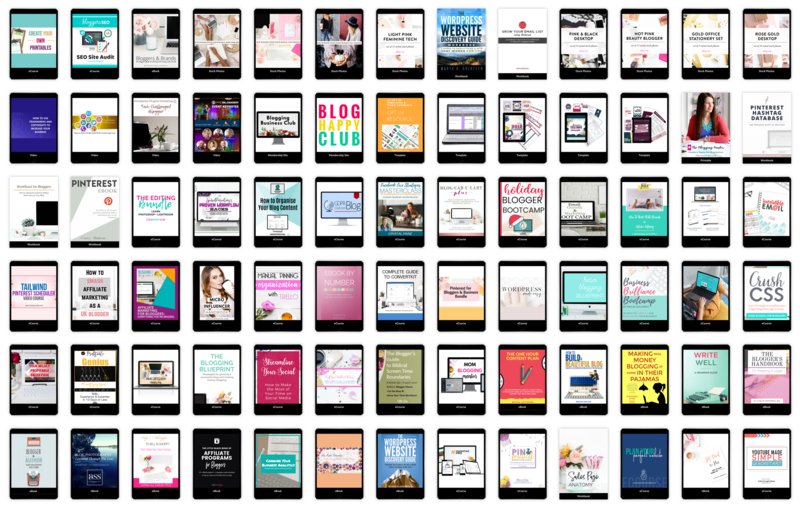 It is a bundle of resources in which many bloggers, entrepreneurs and authors have pitched into by providing their eBooks, eCourses, printable packs, workbooks, templates, stock photo packs and membership sites at an insanely discounted price. 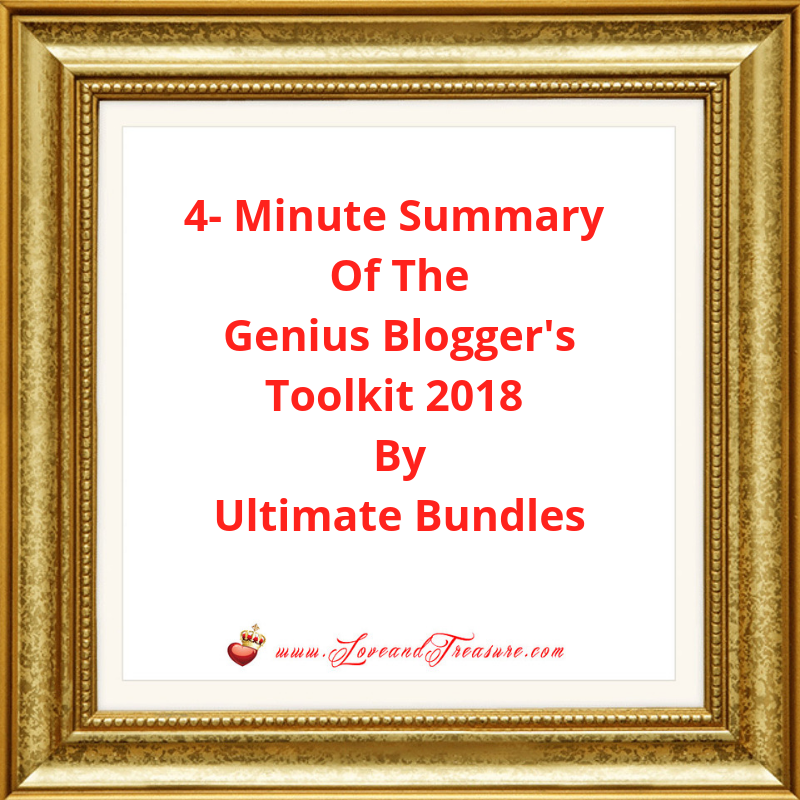 Ultimate Bundles offers many bundles throughout the year, but the GENIUS Blogger’s Toolkit is my personal favorite (I’ve bought it for the past 3 years) and it happens to be one of the Ultimate Bundles’ most popular bundles. So if you’re a blogger it’s a not-to-be-missed opportunity. Why is it that special? In a nutshell, instead of getting 1 course for x amount of money, you get an ENTIRE bundle worth thousands of dollars for less than the cost of 1 course. The sale is SO insane that it is available for just a limited time. The GBTK will just be available for just 6 days. When Will the Genius Blogger’s Toolkit 2018 Be Available? It will be available on Wednesday, October 10, at 8:00 AM ET through Monday, October 15th, at 11:59 PM E.T. If you’re reading this and the GBTK sale already passed, don’t worry, be sure to click on this link — and sign up for updates on this Genius Blogger’s Toolkit Ultimate Bundle or other bundles that you may be interested in. Why Do I Love The Genius Blogger’s Toolkit? 1st of all, I LOVE, LOVE, LOVE the value of the content. You know how expensive education is in general. You know that online courses are expensive… and this Ultimate Bundle, which usually retails for around $100 bucks will have SEVERAL courses. Look, I won’t lie to you and tell you that every single product in the bundle is the greatest thing ever… But many products will catch your eye. (I’ll go ahead and share some of my favorites later). 2nd of all, I love the bonuses. Buying something that excites you and then getting a bonus for it is like icing on top of icing. And this year, the 6 bonuses are pretty spectacular… many of them are worth the whole bundle by themselves because many of them are for name-brand services. 3rd of all, I love that potential. I love education in general, but I also love that these bundles allow me to create a library of resources that will grow with me and will available to me when I need them. These courses, PDFs and ebooks are like having a digital library at my disposal. What Kind of Topics Are Covered In This Bundle’s Products? I know that making informed buying decisions is always wise. That’s why, if you’d like to see the products listed… just go to the Genius Blogger’s Toolkit once the sale period is open. If you are a want to start a blog or already have a blog, this Genius Blogger’s Toolkit is for you. 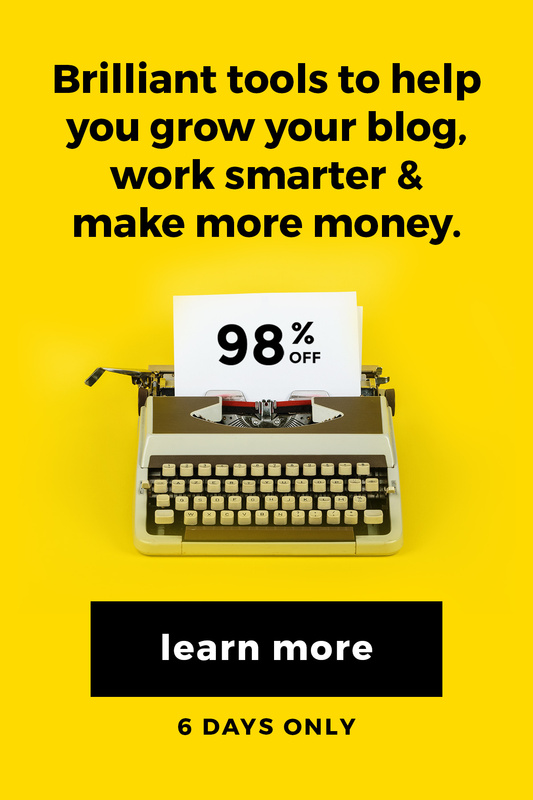 And if you’re wondering whether this bundle is good for beginning, intermediate and advanced bloggers, the answer is it’s good for all levels of blogging. As much as you would think that advanced bloggers have it all together, the truth is we ALL have areas for improvement. And even they haven’t implemented every single think they’d like to implement. Plus, the bonuses themselves are a pretty sweet deal for anybody who has an online presence. This would be a great early Christmas gift for you or the blogger in your life. And this sale is so extraordinary that you’ll be saving about six thousand dollars by buying this bundle in the bundle. Where Can I Get This Bundle? You can get it by visiting this Genius Blogger’s Toolkit link. Remember, it’s only available for a limited time, October 10th to October 15th. Have you purchased a Genius Blogger’s Toolkit before? What did you like about it? And if you haven’t purchased it, are you excited to purchase it this year?